A room with a view, is an understatement. 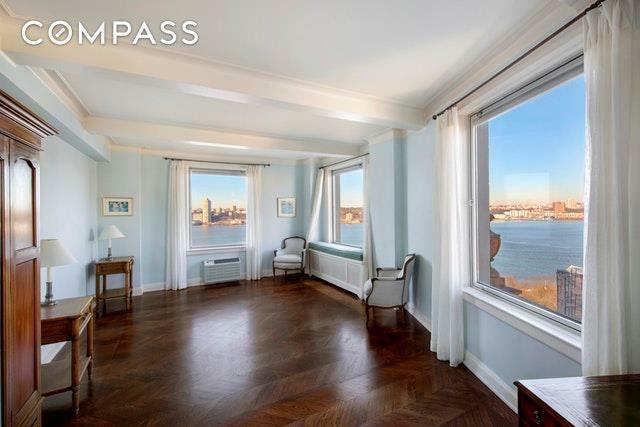 Enjoy the sunset on the Hudson in this stunning apartment with million dollar views! 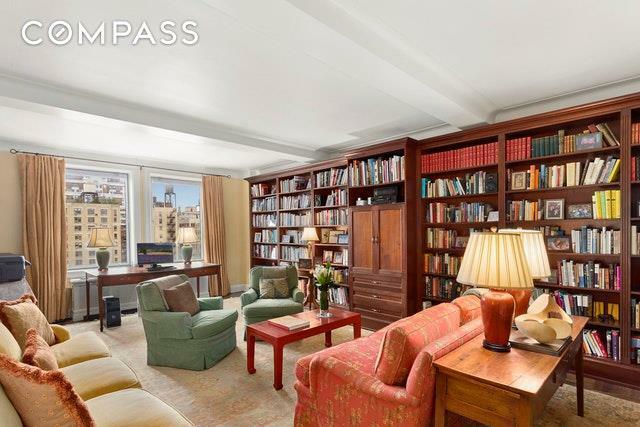 Apartment 14B at 118 Riverside Drive, is a Stunning Classic Six apartment with Hudson River Views from almost every room. Upon entry one is struck by the oversized gallery with beautiful hardwood walnut stained floors, high ceilings and direct panoramic river views! 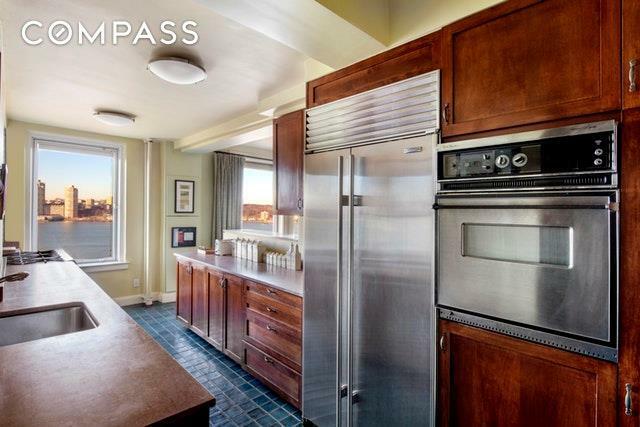 It becomes immediately clear that the main character in this apartment is the Hudson River, and there is so much more! Straight ahead, the River beckons one into the open kitchen and formal dining room, which has three very large picture windows framing the Hudson River West and beyond. Enjoy dinner as you watch the sunset and the sail boats go by! Off to the left is a maids room with study area that has two windows facing the Hudson. The master suite, complete with sitting area, desk area and ensuite bath along with wonderful closet space, is situated in the northwest corner and has four oversized picture windows each featuring gorgeous Hudson River views, nestle in and enjoy the sunset and sunrise without ever having to leave your room. The second bedroom is ample allowing for a sitting area as well as a full desk area enjoying northern blue sky views and light and two ample sized closets. To the right directly off the foyer is the oversized living room, almost 25 feet long and approximately 15 feet wide with two large windows enjoying unobstructed views with blue sky and light. The apartment features an HVAC in one zone, a full size washer and dryer along with exceptional closet and storage space throughout. 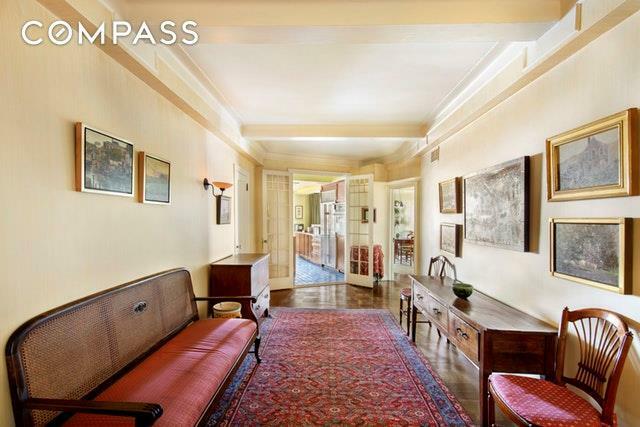 118 Riverside Drive combines with 110 Riverside Drive becoming one of the most highly desirable Riverside co-ops. The building offers a playroom, gym, storage bins, bike room, live-in super and full service doormen. Of course, the greatest amenity of all is Riverside Park! Enjoy walks along the river, The Boat Basin, any and all the other great activities this amazing area has to offer!